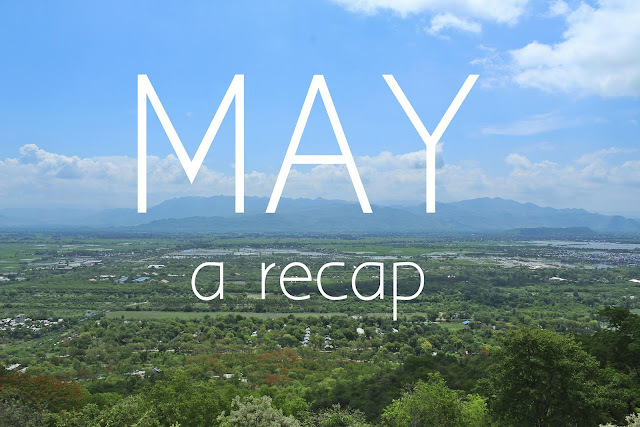 Anyways today I am officially recapping May! May was fun! It was our last month of summer break and we packed it full. By summer I must restate that it was a blazing 117 degrees, hot, sunny and I thought I was melting! But I didn’t. Dave did run a few times in that heat and I took an ac taxi home. Dave and I joined a small group at church. We are looking forward to getting plugged in and will actually be leading the group for June and July. Classroom Preperations – I have slowly been putting my classroom together, studying curriculum and lesson planning. We have had in-service the last week of May and classes start on June 1st! Dave and I got to help lead devotions for the teacher in-service meetings. We were thankful to be able to share from God’s Word with our fellow teachers. I will have 17 four year olds and only 1 of them knows English fluently. You all know I’ll need prayer for that! Specifically though please pray that the children will have a good foundation for English and that they will clearly understand The Gospel. For Dave as he runs the clinic and teaches. Please pray God will send Dave more patients. We are going to Bangkok on June 19th for a visa run. Good Health – With rainy season approaching the mosquitos are approaching as well. They are known for giving Dengue fever which is coined ‘bone crushing disease’. We really don’t want to get this. Please pray for the health of the students and teachers as well. Oh and our bowels could always use some prayer. I’ll just leave it at that but seriously! 11th - Kyron came over to our house one evening. I took her to buy a bow, a journal and fun pens. We than had princess pasta for dinner, played hide and seek, and had a wonderful time! 12th – Received an e-mail congratulating us on our 2nd 2nd anniversary. Dave and I both completely forgot so we celebrated and went to Tony Roma’s (the 1st American food chain here). We shared a burger and then both were glued to our phones because Tony’s is one of the best places for wifi in town. You know you are in Myanmar when you go on a date where good wifi exists. 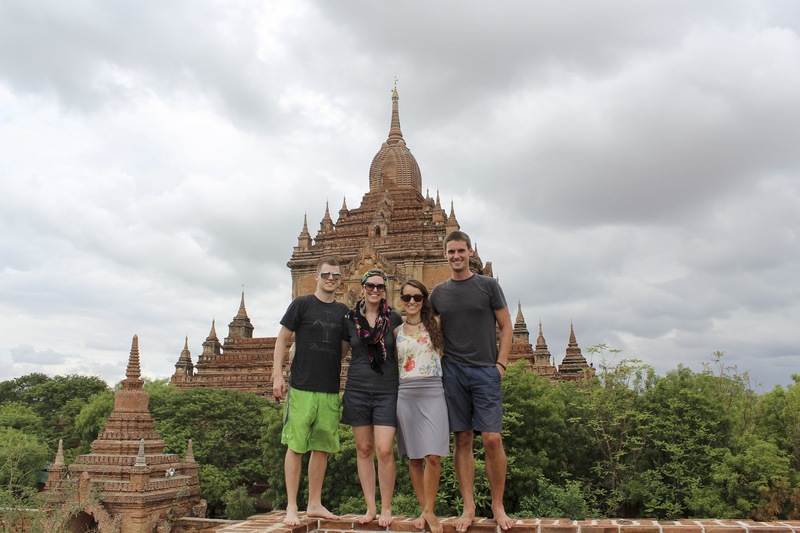 13th - 22nd Tom and Elicia arrived to Yangon! I’ll have to share more later how we met but they finished their teaching contract in Korea and were traveling SE Asia and made Myanmar one of their stops. 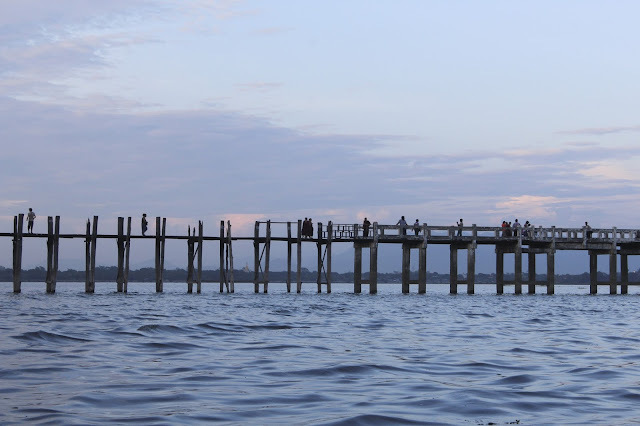 *Ubein Bridge, our taxi driver ran over a dog on accident, which was disturbing. Tom and Elicia left Mandalay on the 22ndso Dave and I did a bit more sight seeing. We visited the Mandalay zoo which Dave and I both decided it was the best zoo we had been too because you can feed and get real close to all the animals. They also had this hilarious bike! Aung Mingalar Shan Noodle – A place to get a cheap bowl of Shan noodles. They were okay but a little too oily for us. Plus we really loved some of the other Shan Noodle restaruants around. Street Food – I am not a brave/ at anything off of the street kind of girl but we had guests this month and they helped me try some new street foods. We had a pancake and I don’t even know how to explain it but YUM! It was made from coconut batter, had melted brown sugar inside, shredded coconut and peanuts. So good! It also did not send me running to the bathroom later which is always a plus in my book. FatMan Steaks – Where they have huge ginormous delicious American burgers. Plus they have a big American flag hanging on the wall which makes me want to scream ‘I LOVE AMERICA!’ but everyone would think I was really weird. Living abroad makes you more patriotic though! YaKunToast – A new restaurant right by us. They have really good tea! Dave ate a ‘cooked’ but runny egg which made his stomach hurt later (I warned him!). We also ate a grilled pb&j which sounds gross but was pretty good. Pizza Heaven – We ate here on Mother’s Day. Pizza is my Mom’s favorite. The pizza was good but not my favorite. Rangoon Tea House – best tea place in Yangon! Plus the atmosphere is super nice and clean. Corriander Leaf – Okay technically we tried this last month but seriously they have some of the best Indian tandoori chicken I’ve ever had. 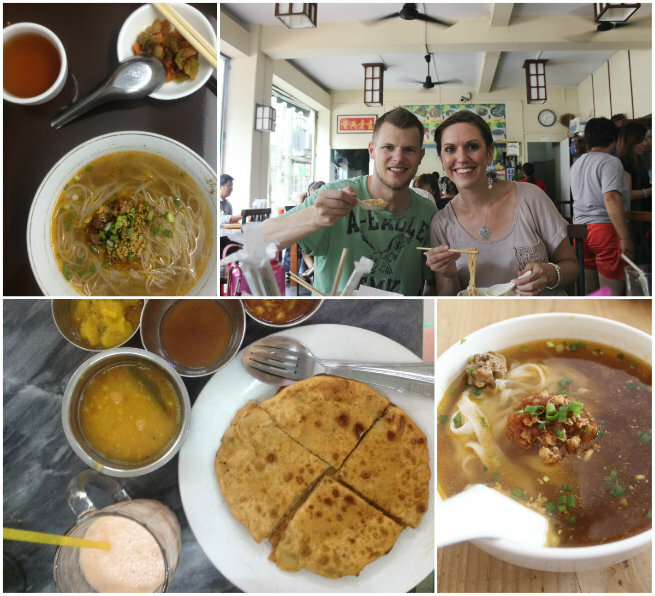 If you haven’t had Indian food before you need to add that to your bucket list ASAP! Dave is clearly kicking my rear in the reading department. But that is ok! I finished reading the book of Jeremiah which was big for me! I struggled to get through that book. The wonderful Spirit Filled Life 240p. Worship the Christians Highest Occupation 280p. Our market got paved! I know that doesn’t sound like a big deal but walking through the nasty dirty sludge verses cement is a big. big. deal. 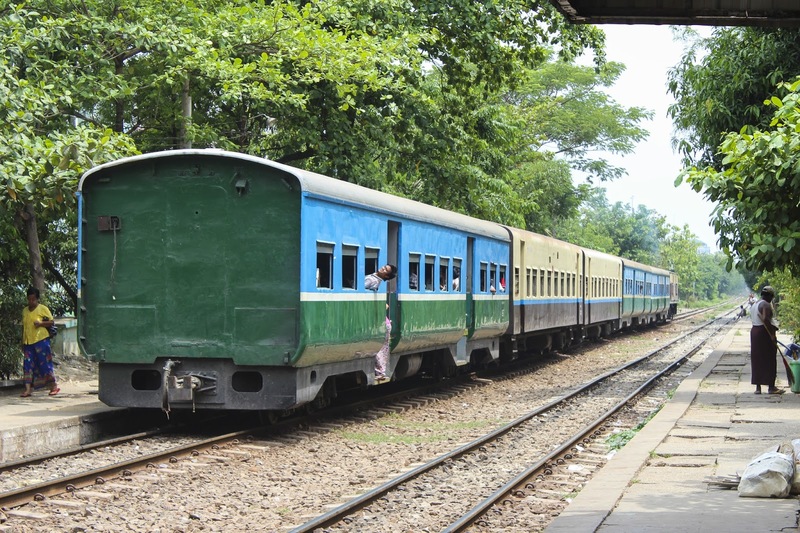 We took the Yangon Circle Line Train! It basically goes around the whole city and they have a station right by our house. We took it to downtown. The cost? $.30 for ac and $.20 for no ac. I started the mini Polarid rainbow roll! Isn't it fun and colorful? I also started Project Life! It took me a while to figure out where to print pictures that wouldn't charge me $1.00 per pictures. My new place charges 7 cents! David’s sister and her husband (Becky and Byron) and my parents all have purchased airplane tickets to come to Myanmar to see us! I’m so so so excited! They will be visiting back to back which means we will have visitors from August 18 – September 14! YIPEE! That was May you guys! This post is long and took waaaay to long to compose but that's ok! How was your May? What was your favorite thing that happened? Sounds like a pretty busy month! Sometimes I think planning/preparation is my favorite part of teaching--I'm so glad that this job allows so much creativity! Angel had never had Indian food before he met me. Now he doesn't know how he went 25 years without ever experiencing its deliciousness. Congrats on your upcoming family visitors! That is gonna be so awesome! I know how it feels to have family visit. Looks like an awesome month!! I love that British tower....so neat! And yay for your family visiting in a couple months! I know that will be a super fun time for you!! These are my favorite to read! So glad you guys were able to get plugged into a small group! bahaha! I totally DID notice your mistake last month and I kept meaning to tell you, but every time I was around my computer I forgot. Sorry! Editor friend fail ;) So excited your family is coming to visit! That will be so fun. What do they go while you're at school during the day? Love the train and the funny bike! You are having the best adventures. I'll be praying for you and the mosquitoes and that you stay healthy. I love this update! I totally cracked up at the wifi date though, but completely understand it! When you've got access to the internet you've got to use it, date or no date! 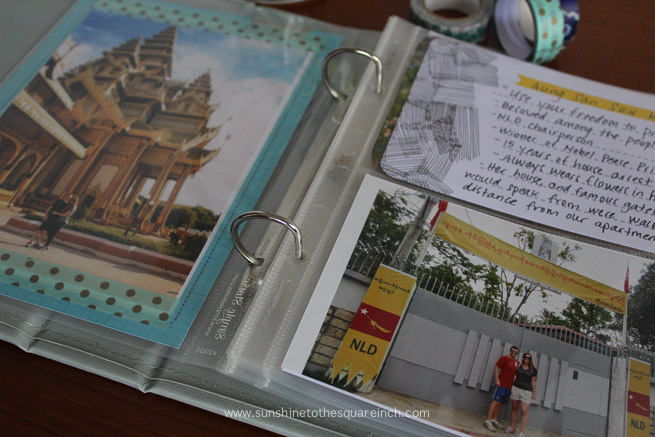 I love that you are doing project life, I did it a few years back and LOVED it but then got a little overwhelmed with all I had going on but I still love going back and looking through everything. I'm glad you enjoy the planning and creating part of the job! I enjoy it too bit right now with it all being new it has been a lot. I didn't try good Indian food until Korea and now I can't live without it either. It's soooo good! 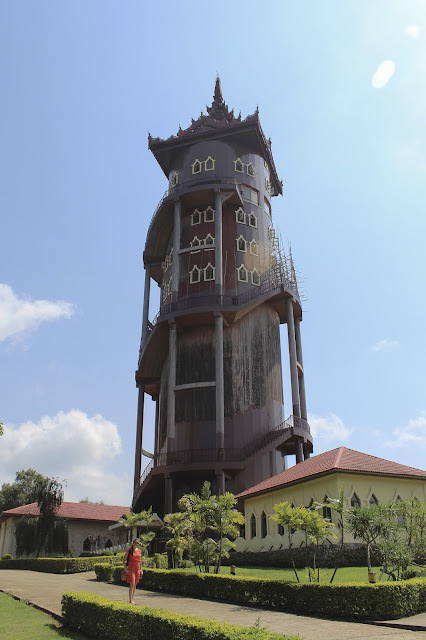 They really do have some fun towers here in Myanmar! It's been fun to see. And yes! I'm super super excited for family to come and visit! I'm glad to hear these updates are fun for people to read. Sometimes I think they are too long of a post but I really want to document our year. And I'm so glad we got plugged into a Bible study group! It's been neat to meet people from all over the world who love The Lord. Isn't the wifi date lame and awesome at the same time? The 3G network works better than wifi so it has helped me stay updated more. I recently got an old iPhone to work here in Myanmar and it is fabulous! I'm glad to hear you love Project Life. It's super fun and can be hard to keep up with. Did you post about it at all? Oh my gosh I hardly know where to start you guys had a busy month! First and foremost we are continually praying for you guys! I hope you're finding some encouragement as you settle into the first couple weeks. And I will definitely be praying for your bowels cuz I know that is just awful! Secondly, that street pancake sounds amazing! Does Dave speak/know Spanish fluently? I'm pretty fluent and would have a hard time reading that long of a book completely in Spanish. Thirdly how exciting for your visitors to come- that will be so wonderful to see them and get to show them where you guys have been living for the past several months! I can't tell you enough how thankful and humbled I am that you pray for us! It means a lot to me! More than I can express in words. Dave can read and remember Spanish vocabulary pretty well. Day to day conversations I am better at that because of my background with Portuguese. How do you know Spanish? Are you Hispanic? I saw you write in Spanish on IG the other day and now I'm curious. I'm SO glad your bowels are finally normalized! Haha I would know better than most people how big of a problem this causes when they're not normal. Me and Immodium were tight when I lived in Guatemala. That's pretty cool that you both know Spanish- will you try to teach your kids it as they grow up?